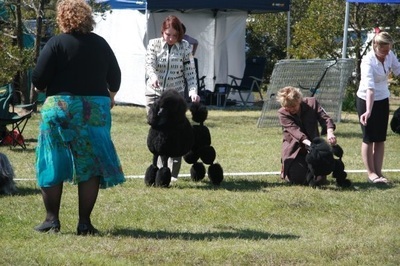 Showing - The Poodle Club of Victoria Inc.
Few breeds require the hard work & dedication to maintain their coats for the showring, however possibly even fewer breeds are as much fun to show & have as much success as a Poodle. 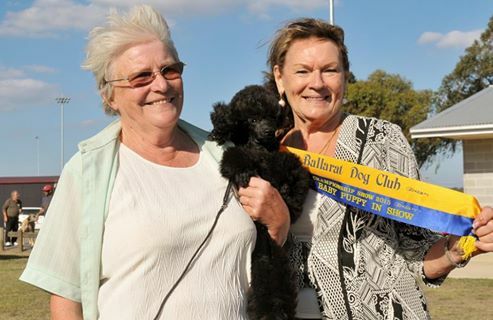 Dogs registered with The Australian National Kennel Council will either be nominated by their breeder to be on the Main or Limited Register. To be able to show your Poodle, the first requirement is that he be on the Main Register. 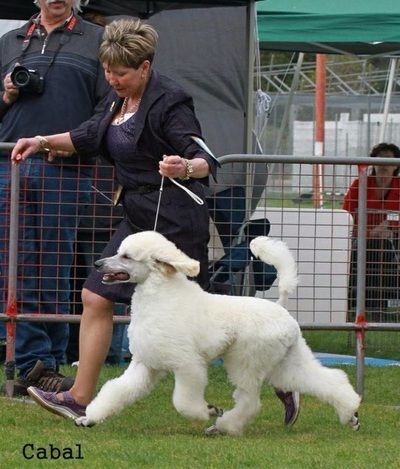 This should be discussed with the breeder before purchasing the dog. 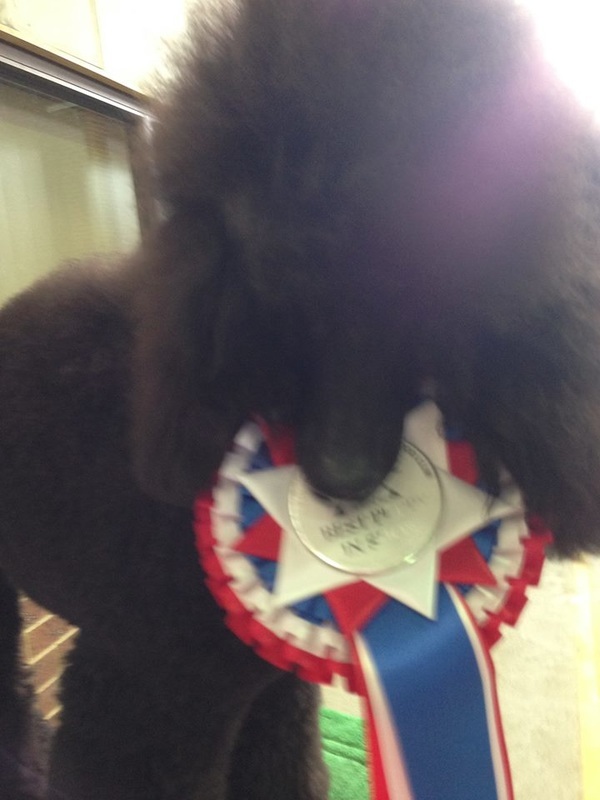 Many breeders are reluctant to sell puppies of show quality to people new to the sport. Training, grooming & going to dog shows requires time, effort plus the patience & humility to tackle a huge learning curve. 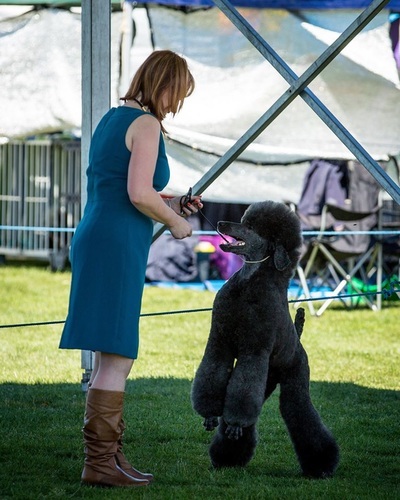 Your first resource for help & advice about turning your puppy into a showdog should always be it's breeder, however the Poodle Club can suggest groomers & show training classes.